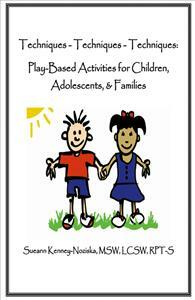 "Techniques-Techniques-Techniques" is a collection of creative, play-based activities for clinical practice with children, adolescents, and families. This easy-to-read manual provides practical interventions that can be immediately incorporated into clinical work across modalities and in diverse practice settings. Techniques are clinically sound and target treatment issues including assessment, emotional expression, coping skills, ADHD, self-esteem, interpersonal boundaries, sexual abuse, and termination. Interventions are applicable for a variety of presenting problems and symptoms. The imaginative, adaptable nature of these techniques makes this book an invaluable resource for professionals seeking innovative strategies for clinical practice.